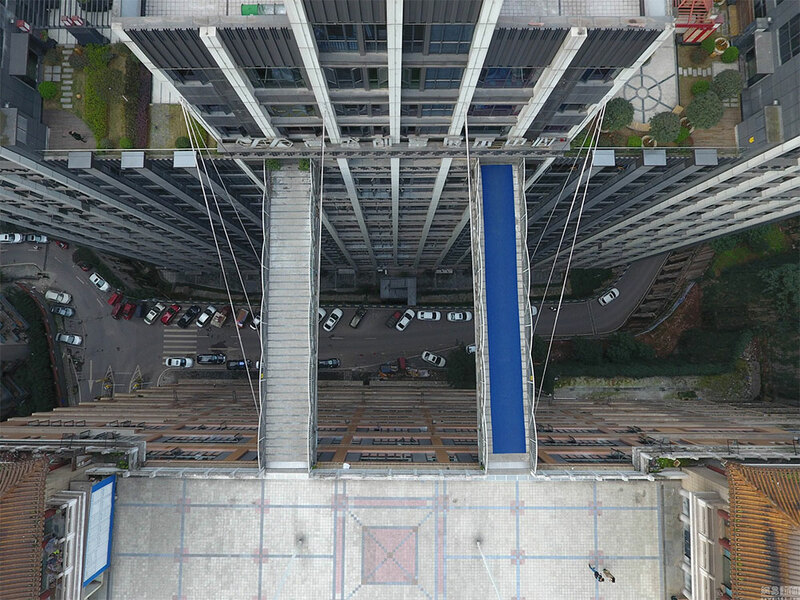 2 Two parallel pedestrian flyovers, connecting the opposite roof of two buildings, have been built in Yuzhong district, in Chongqing. 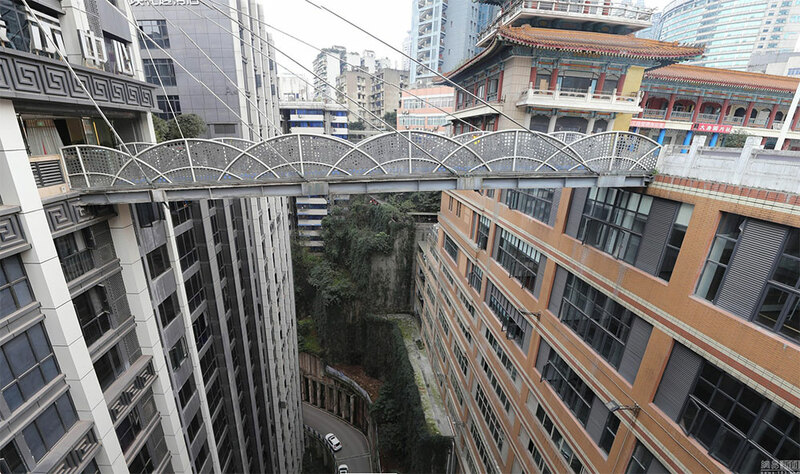 Looking down the bridge has been described as "deep bottomless"
Two parallel pedestrian flyovers, connecting the opposite roof of two buildings, have been built in Yuzhong district, in Chongqing. 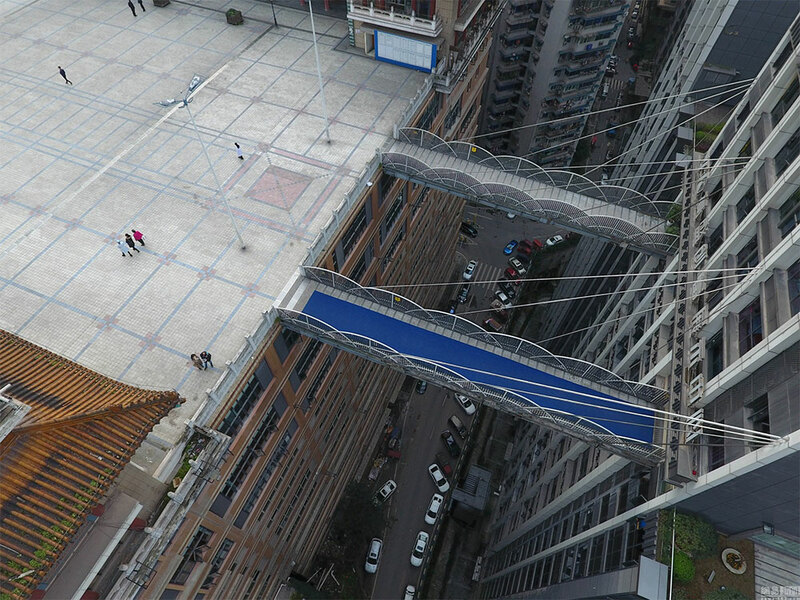 The bridges, planned in December 2016, are long about 23 meters, 68,5 meters above the ground, with an actual width of 3.6 meters. The main structure of the bridge is made of steel frame, covered with stone. Looking down the bridge has been described as “deep bottomless”. The bridges are sustained by 8 steel cables, connected to the Building B. The air corridor allows saving about 20 minutes. 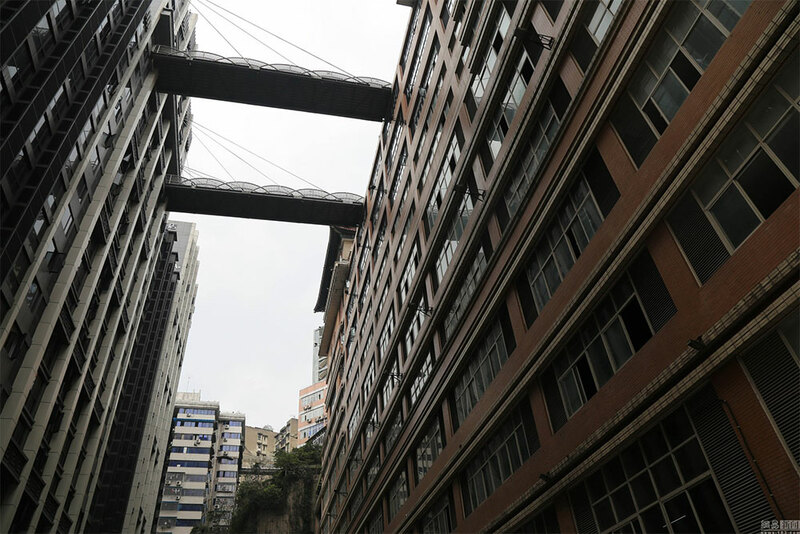 The bridges have now become an attraction in the neighborhood, and people arrive for a walk or to take some pictures.